The Hindu community in Sarpang usually travels to India around this time of the year to take part in Shravani Mela, a festival dedicated to Hindu god Shiva. This time, however, the devotees of Lord Shiva do not have to travel to India. They are celebrating the festival at the recently constructed Shivalaya Madhir. Located in Shetikhari, which is about four kilomtres away from Gelegphu town, on the Gelegphu-Zhemgang highway, the temple is a gift from His Majesty The King to the Hindu community in Sarpang. “We do not have to undertake long journeys now to take part in the festival,” Dillip Subha, a devotee, said. “In the past, we used to visit Shiva temples in Bihar, spending lots of money,” Golay Bahadur Rai said. 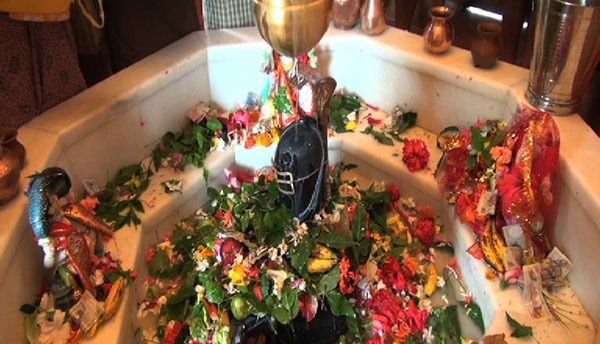 The Shravani festival takes place in the months of July and August every year. Devotees, usually clad in saffron robes, walk barefoot to the Mao river. They return with water and offer it to Lord Shiva at the temple. The devotees chant “Bol Bam”, which is a phrase in praise of Shiva, during the entire journey. “In the past when we did not have the Shiva temple, we had to travel all the way to India, which was not convenient,” Harilal Katel, another devotee, said. Taking part in the festival is believed to bring blessings and fulfillment of every wish.